By now the news is widespread — Asian carp pose a serious threat to the Great Lakes as an Über-invasive species. Despite knowing about the seriousness of the threat and the fact that the invasive species has been ranging closer and closer to the Great Lakes watershed, little has been done in recent years to stem the growing danger to the Great Lakes bioregion. The Free Press reports today that Michigan Attorney General Mike Cox has filed a motion with the U.S. Supreme Court to reconsider its decision to keep open the Chicago-area shipping locks that separate the Mississippi basin from the Southern end of Lake Michigan. 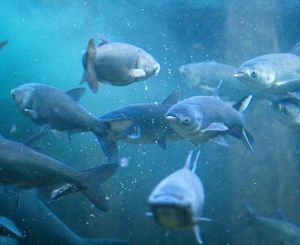 Cox’s argument is that elements of the government knew about the discovery of Asian carp genetic material in Lake Michigan three days before the high court’s ruling, but that this information was not made available to the court in time for their decision.